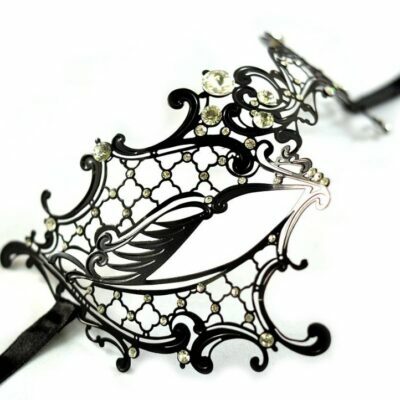 Adele is an elegant and comfortable black metal lace mask. 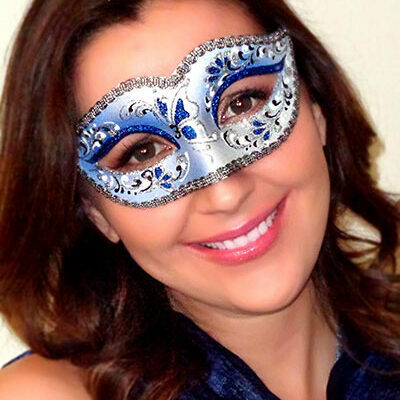 Our Metal masks are very popular because they are very light and do not feel hot on the skin. 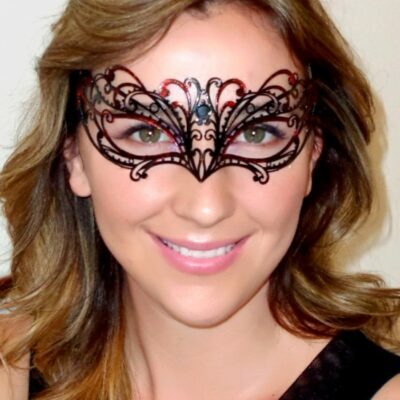 Metal masks can be flexed slightly to contour the face for improved fit. 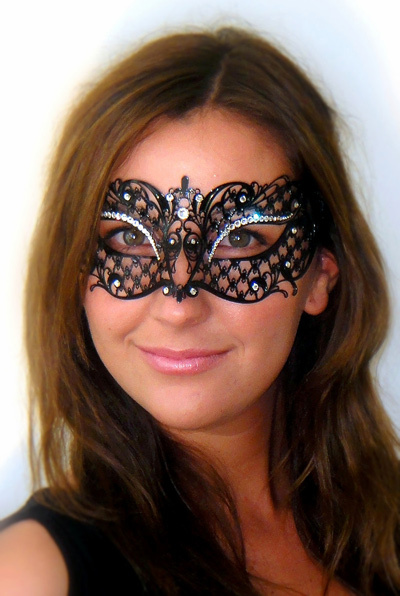 This genuine Venetian Mask is a great fit on regular to large faces. 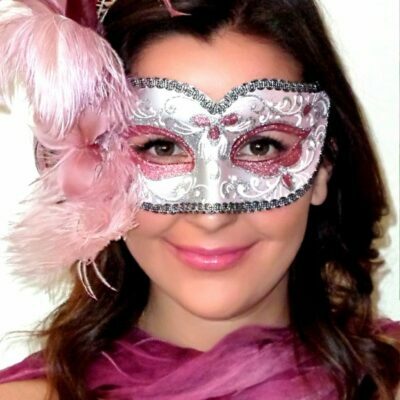 Quality real Swarovski Crystals embellish this mask for just a little more bling. 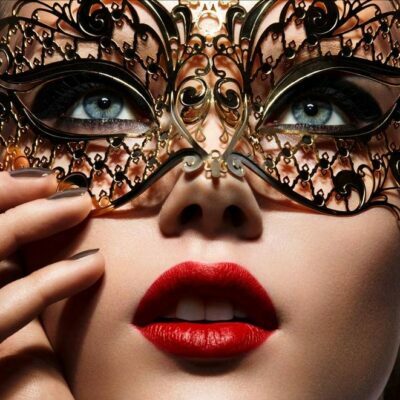 Ribbons secure this mask to the face, ensuring perfect fit. 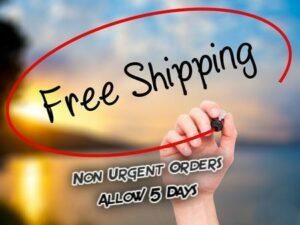 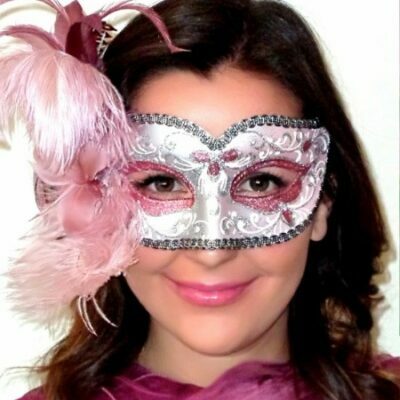 Beautiful mask and excellent service – mask arrived within 24hrs of ordering! 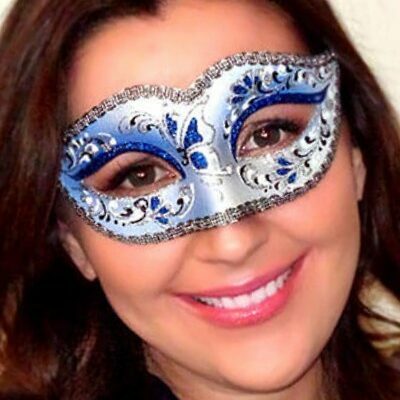 My mask arrived within 48 hours which saved the day – beautiful quality and exactly as described.